This manual was developed for master trainers to train trainers who in turn train field implementers—health workers, health assistants, CBO health promoters and non-literate as well as literate community volunteers—to lead facility and community-based health promotion sessions. From September 2013 to June 2014, with support from USAID, Pathfinder implemented the mCenas! project (“Mobile Scenes” in English)—an interactive two way SMS system in Mozambique, accessible at no cost to clients. The goal of mCenas! This Learning Brief summarizes a qualitative process evaluation conducted to assess communities’ response to a community dialogue approach, after one year of implementation in rural settings of three countries (Mozamique, Uganda and Zambia), in terms of outreach, relevance and intermediate results. This job aid was created as part of the Mozambique medical circumcision campaign. 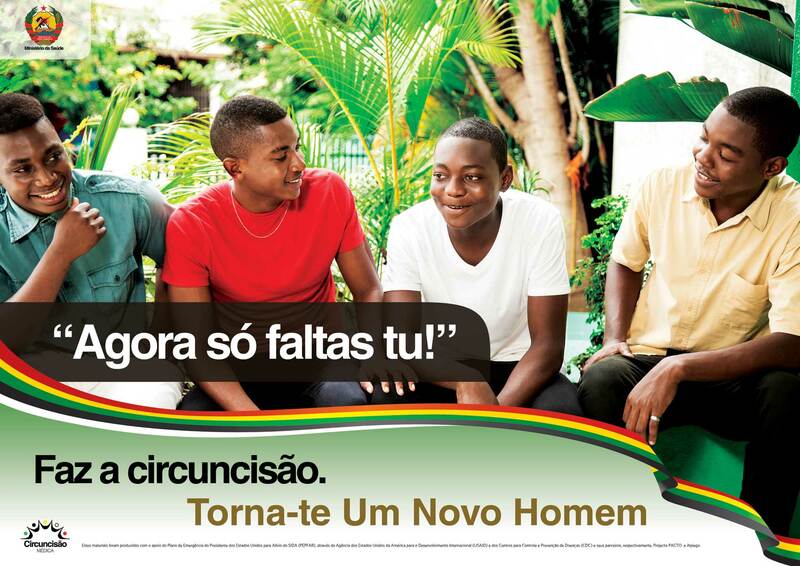 This poster was developed as part of the Mozambique Medical Circumcision campaign. It shows a group of young men addressing their friend, who is the only one of the group who has not yet undergone medical circumcision. The poster is aimed at young men who are considering medical circumciison. 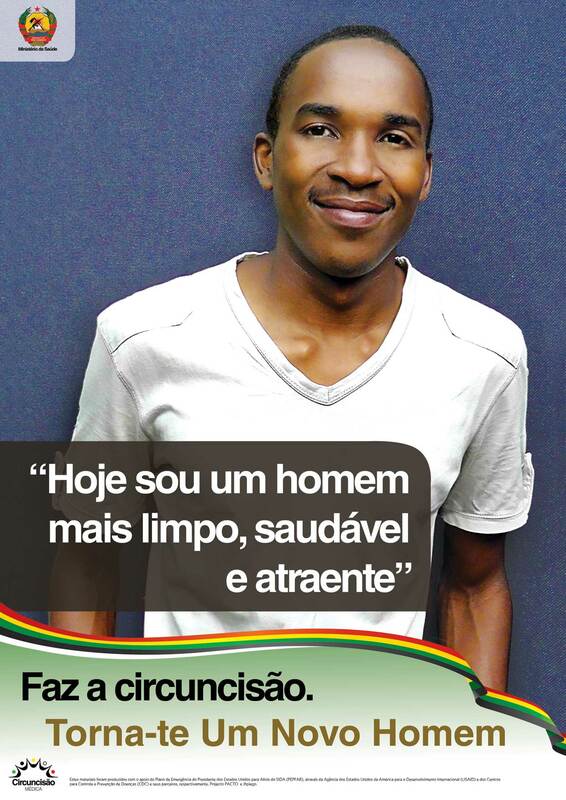 This poster was developed as part of the Mozambique Medical Circumcision campaign. It shows a handsome young man who seems happy and says that he is healthier and happier because he underwent a medical circumcision. The poster is meant to express the benefits of medical circumcision to those men who are considering the procedure.